Stainless steel is finished in Antique Brass to bring a dose of warmth to cool, minimalist design. 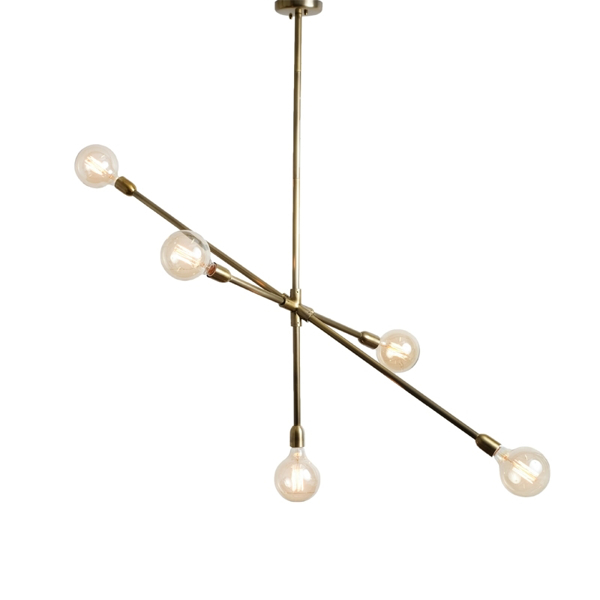 Linear, Sputnik-like shaping makes for a striking statement piece with plenty of modern allure. Dimensions: W 52" x D 23.5" x H 24"